We went to a wedding in Toronto this weekend and instead of giving the same favor to everyone, each seat at the table had a different gift. And of course, you got to choose which spot you wanted at your assigned table. I thought it was a really cute idea. I chose the heart-shaped measuring spoons, since my dishwasher recently ate up my "1 tsp". 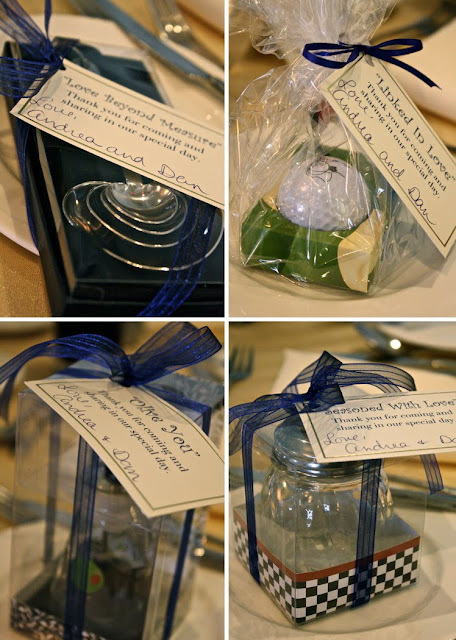 We didn't do traditional favors at our wedding. Instead we had a tree planted in the rainforest for each of our guests (using the amazing non-profit organization, Taking Root). What about you? 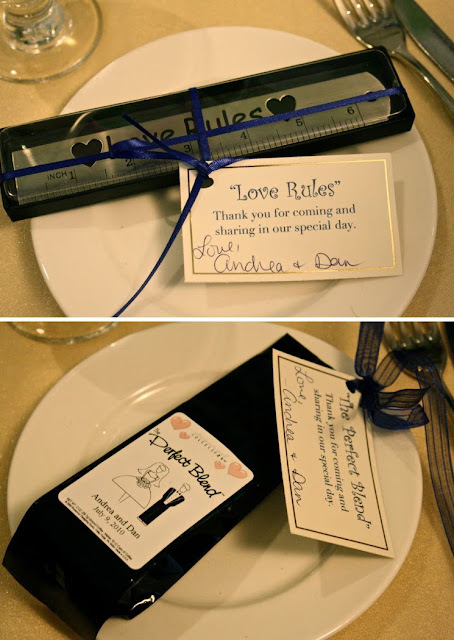 Did you do something unique for your wedding favors, or see something at someone else's wedding that inspired you? Wow. That is so unique! I love all the different cards that go with each gift too. Sounds like an awesome couple... glad you were able to share in their wedding. Wow that is such a great idea. I love different ones for each person! Too cute. That is a REALLY great idea! I love it! I think this is an absolutely adorable idea! I love the "Love Rules" ruler. I once went to a wedding that in the seating card chart the bride had written a lil note in each of them thanking them personally with a lil note about them as friends. It was awesome. The trees in the rainforest too is a great idea! I love new wedding stuff!! heart-shaped measuring spoons? that's awesome!